In face of a booming wearable technology market, it’s high time we find ways to incorporate rather than exclude these gadgets in schools. Analysts at Research and Markets, a market research organisation, have estimated that the wearable technology market will grow at a compound annual growth rate of approximately 25 per cent from 2017 to 2022, rising to an overall value of $24.64bn. In the UK, smart watch ownership grew significantly between 2015 and 2016, according to YouGov figures. This is a trend that is likely to have continued in 2017. 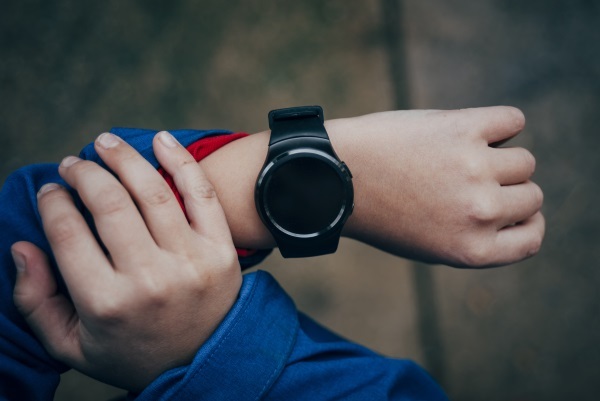 It stands to reason that more and more students will be wearing smart watches to school – you may have started to notice them in your own classrooms. Is the advent of wearable tech good news for education, or does it have the potential to cause problems? The answer, of course, is both. We have been here before, haven’t we? It took schools a while to develop systems that would allow them to handle mobile phones and, despite many very positive classroom uses – for example using Poll Everywhere or Evernote – the majority of schools either ban mobile phones outright or limit their use. Many new-build schools use screening that prevents a mobile signal being received in the building, but does not offer a solution to the use of the phone as a camera. As part of my work with trainee teachers I have used a clip of a chaotic classroom, taken by a student and simply downloaded from social media. Terrifying. Some colleagues allow students to take photographs of white board screens for revision purposes but, by and large, we teachers have not yet learned to live comfortably with the mobile phone. In 2015, former HMCI, Sir Michael Wilshaw called for the complete ban of mobile phones in schools. In the same year, the DfE’s ‘behaviour tsar’, Tom Bennett began an enquiry into improving behaviour, which included looking at whether or not students should be stopped from bringing handsets into lessons. According to a study by the London School of Economics, schools that banned phones saw average test scores rise by six per cent. Last December, we heard that France was to forgo any debate about the pluses and minuses by imposing a total ban on mobile devices in school. Now, before totting up the number of potential safeguarding issues here, just consider that this ‘review’ was actually posted on a site promoting the sale of smart watches. Realistically, the smart watch makes it much more difficult to identify the illicit use of technology. Who could possibly tell the difference between a student checking the time and one reading a text? Or a web page? The potential for cheating in exams is obvious. In Thailand last year, cheating was taken to a whole new level when three students taking medical school entrance examinations at Bangkok’s Rangsit University were found to have filmed their papers using miniature cameras in their spectacles. The images were sent to an outside team, who sent the correct answers to the students’ smart watches. Many schools and colleges have already banned smart watches from examination halls and some forbid the wearing of any watch during examinations as a security measure. The Joint Council for Qualifications (JCQ) for A-levels and GCSEs has issued guidance that candidates should be stopped from taking ‘any potential technological/web-enabled sources of information’ and ‘any wristwatch that has a data storage device’ into exams. A JCQ spokesman told Schools Week that ‘a candidate found in possession of anything used for cheating – like these watches – would be reported to the awarding organisation whose examination was affected'. This is simple, sensible and logical. However, examinations aside, it could be the messaging facilities of smart watches that cause a headache for teachers. Many devices will automatically download the same messaging apps that the user has on their mobile phone and there is an increasing number of messaging apps available specifically for smart watches. While some, usually cheaper, watches, look like electronic gizmos, many just look like, well, watches! This is going to make it very hard to identify students having conversations by text. Teachers and schools will then have the choice of ignoring texting in the interests of not disrupting learning or simply banning smart watches. The middle way of tackling individual texting is just not realistic, or effective. Like the mobile phone before it, the smart watch is an example of technology running far ahead of strategy in schools. We have seen complete bans on phones and are likely to see similar approaches to smart watches. But, is this a 20th century solution to a 21st century problem? Surely, we should be working out how to capitalise on new technology rather than exclude it. This discussion will run and run. I find myself increasingly drawn towards the need to find a 21st century solution, but don't ask me what that might be! ‘As for teachers, surely smart watch + smart kids = smarter classrooms? People have now started writing some lists of possible uses and the opportunities to embed these devices into the learning process is undoubtedly huge. This is not just about planning for control, but also thinking about the benefits to pupils and their learning, from having an internet connected device on their wrist at all times.